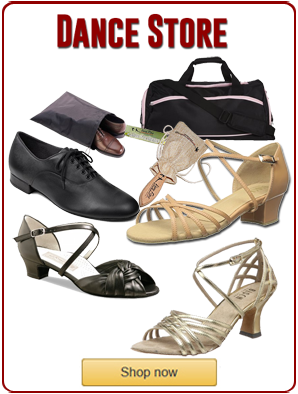 Jive refers to several different dance styles of swing dancing. Moreover, it was a term used for swing dance in the early nineteenth century. Later, it became one of the five competition dance genres included in International Latin dancing. Additionally, there are several other dance styles that incorporate the term including: hand jive and the modern French style of swing called modern jive. Finally, in this article we focus on the ballroom version of the dance used in the International Latin style swing category. Swing dancing originated in the 1930’s in the United States. In addition, the dances early roots goes back to the jazz age and the start of the swing era. Furthermore, it was one of the swing dances of the era that also included jitterbug and Lindy Hop. Musicians like Cab Calloway and Glenn Miller were playing swing music appropriate for this type of dancing. Eventually, the dance traveled across the United States and Europe. Also, the term swing became more popular in the United States. Moreover, swing was an umbrella term used to refer to all the swing dance genres including East Coast swing, jitterbug, shag and eventually West Coast swing. In Europe, the term jive replaced other terms used for swing dancing and became the most common name for the dance. The jive eventually was adopted as an International style Latin dance. Additionally, it is included in the five International dances used in competitions including cha cha, samba, rumba and paso doble. Also, International style jive is popular in dancesport among competition dancers for its exciting, high-energy movements and lively swing music. A newer modern version emerged in the 1980’s called the French jive or modern jive for younger dancers that wanted to swing dance to contemporary music. Occasionally, Europeans will use the term jive when referring to dancing apart from one’s partner also known as freestyle. The East Coast swing and jive originated from the same swing dance roots in the U.S. Jive and East Coast swing are triple rhythm swing dances that incorporate syncopations although each does so in a slightly different way. Also, they both incorporate a pulse or bounce that is created by flexing and straightening the knees and ankles. In addition, a swing hip action accentuates the movement of the hips and ribcage, which is designed to fit the lilting feeling in swing style music. Moreover, the jive, like East Coast swing, is generally danced in a circular fashion using two triples (chasses) with patterns culminating in a rock step. Furthermore, it is often done in choreographed routines for performances. Additionally, it is used for patten sequences using required syllabus figures and creative content depending on the judging rules at various competitions worldwide. East Coast swing is danced in American rhythm dancesport competitions and socially at ballroom dance venues or dance clubs. Many swing dances have become very popular in the last few decades, particularly during the swing revival of the late nineties and two thousands like the jitterbug, Lindy Hop, Collegiate shag, Carolina shag and the West Coast swing. The most popular swing dance currently is the West Coast swing, which has traveled across the globe and is thriving because it is a living dance that continually evolves to fit contemporary music. Southern California in the United States is a center of swing dancing. Dancers can find all the different forms of swing dancing. East Coast swing, Lindy Hop and Balboa have a large following of swing dancers that started in the mid-eighties with Pattie Wells at the Jitterbug Swing Dance Club. In the late nineties, the swing revival brought Frankie Manning out of retirement. Also, there are numerous dancesport studios that offer the International dance style Latin dances for social, performance or competition dancing. In addition, West Coast swing dancing can be found most nights of the week. Moreover, a couple of dance studios offer lessons in classes, individual lessons, practice parties and actual West Coast swing venues. Furthermore, San Diego is home to one of the largest West Coast swing dance championships in the United States, SwingDiego. It happens every spring over the Mother’s Day weekend.